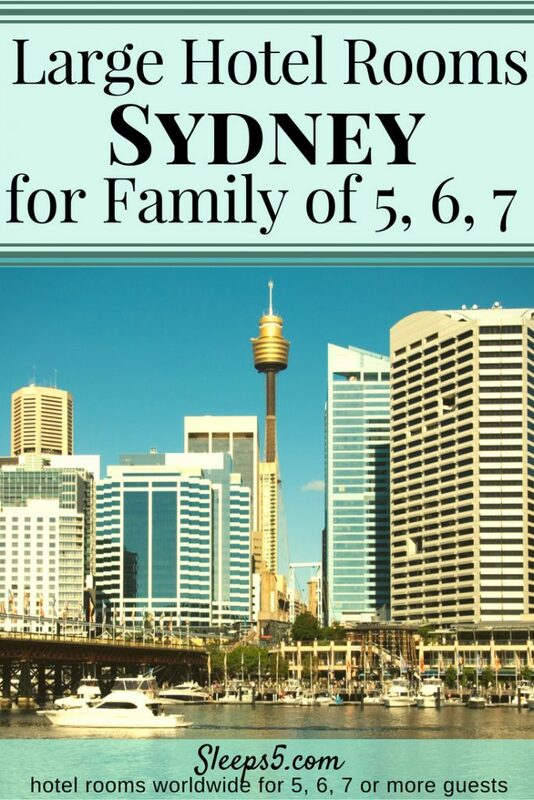 Hotel family rooms in Sydney which can accommodate 5, 6, or 7 people are listed in alphabetical order below the interactive Google map which shows each hotel location. The price / rate range of each hotel, from budget to luxury, is indicated. See the $-symbol key in the sidebar. Click on the hotel name for more details.